Guest contribution by Got Oil Supplies. To achieve the perfect home ambiance, many people turn to their vaporizers and diffusers. This is for them to make sure that the air around their homes is filled with a soothing and calming aroma. These two tools help in making your home a more comfortable and relaxing environment for the whole family to enjoy. Some people tend to confuse these two and think that they are the same thing. They actually differ in the ways that they work and have varying benefits. It’s cool to know how these two tools can do so much with only water and essential oils. Keep on reading to know more about these home tools and what they have to offer. What is a Vaporizer and what are its benefits? A vaporizer boils water to create warm steam. This warm steam adds humidity and moisture into the air of the room. Aside from water, it is also possible to mix in some essential oils. There are several other additives that can work well with a vaporizer. In the boiling process, bacteria and germs are eliminated thereby ensuring clean air to take in. A vaporizer is also a quiet device that is helpful in achieving that calming effect you want to create. There are many uses and benefits of using a vaporizer. The warm steam helps keep the mouth and throat moist, to make you breathe easily. It clears the respiratory tract and stops mucus from building up. It is also helpful in keeping the atmosphere warm during the cold weather. Some people use a vaporizer to clean the air of the common cold virus. Additionally, it helps in releasing muscle tension by acting as an aromatherapy. Add some water and essential to your vaporizer and expect to indulge in calm serenity. What is a Diffuser and what are its benefits? A diffuser is another tool that will help in keeping the aroma around your home a calm and peaceful one. A diffuser helps in highlighting the benefits of essential oils. It disperses essential oils into the air for a fair amount of time keeping the whole room filled. 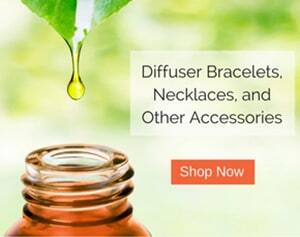 Note: We have a list of best aromatherapy diffuser on our site. A diffuser has additional benefits to a vaporizer. It is easier to use, helps save money, and is generally smaller in size. It is also a great alternative to unnecessary wax candles. First, you can use a variety of essential oils. Each essential oil comes with a different scent and effect. Diffusing essential oils, like chamomile, into the air is a great way for relaxation and sleep. It helps clean the air around you and makes it easier to breathe in. The use of essential oils allows you to have a wider selection to choose from in setting the mood. Furthermore, diffusers help create a calm environment fit for relaxation. It helps with grief and emotional management. It is also good for easing mental and physical fatigue like stress, anxiety, and headache. The use of a diffuser can also get rid of unwanted insects, which is important when you have kids in the house. There won’t be a need to worry about any irritations anymore. Also, this makes sure that you will be safe from the illnesses that these insects may carry with them. Diffusers also effectively keeps the air cool during the hot and dry summer months. Diffusers, from the name itself, disperse essential oils into the air, through a variety of methods. Vaporizers create vapor (from a particular substance, like water or medicine), specifically intended for medicinal inhalation. Diffusion works by distributing essential oils into the atmosphere, once airborne, these are inhaled and will come into contact with the nerves of the people in the room, sending a message directly to the brain. For vaporization, it is localized, and only the one who uses the vaporizer benefit. 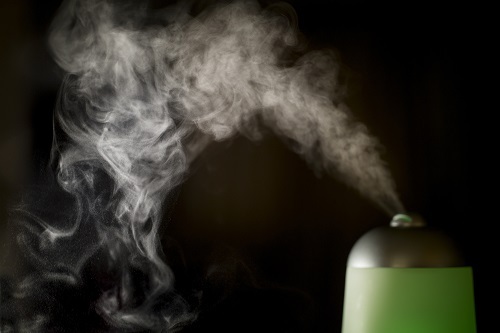 A diffuser distributes the essential oil’s aroma throughout the room, while a vaporizer will only have an effect on any persons who are in close proximity. A vaporizer is a type of diffuser. Now you can make an intelligent choice!